Too light for a five year old, and almost too delicate to be a rum at all. It says a lot for my collection and where I store it that occasionally, in pawing around searching for a possible Friday night sundowner, I run across a bottle I forgot was there and which is not even opened, let alone reviewed. 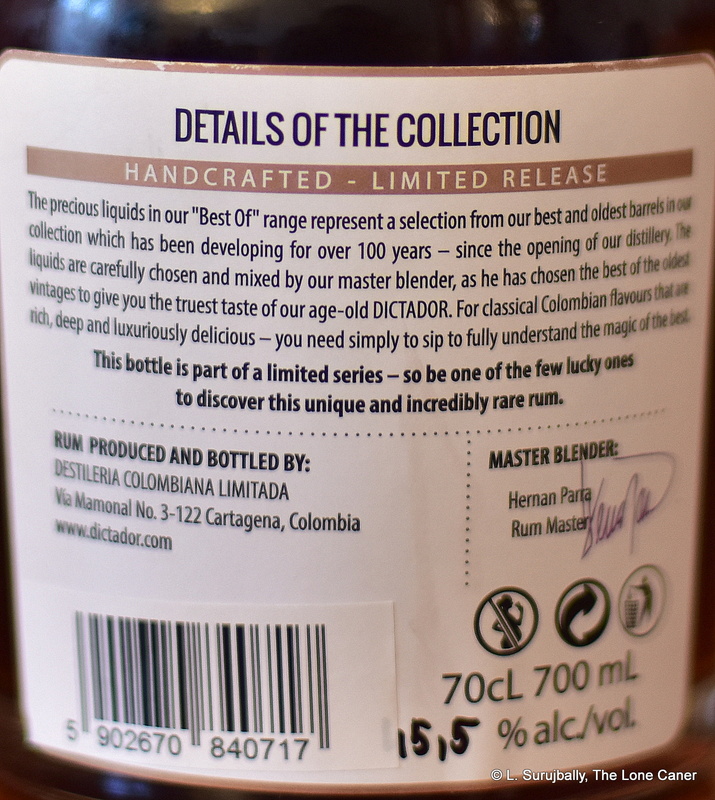 Such is the case with the Juan Santos 5 year old, which is the last of the Colombian rums from this lineup yet to be addressed (the others are the Café, the 9 year old, 12 and 21). 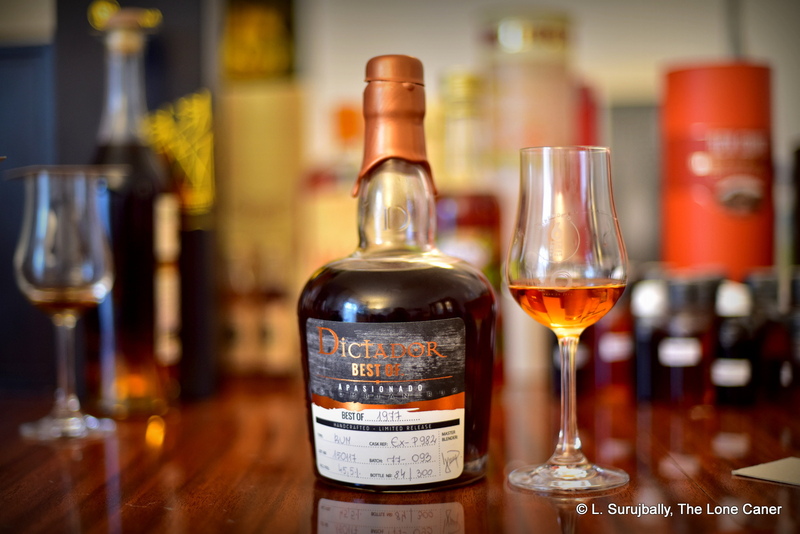 Five year old rums can be considered as good introductions to a maker’s rum range, because they are not cheap mixing blends that have an indifference to their ageing bordering on the contemptuous. On the contrary, they are aged for the requisite five years, some care is taken in the blend of fives that make the final product, and they serve as useful, low-level introductions to the better rums up the scale (though some argue that they are in many cases excellent and even better rums in and of themselves, more so than the pricier products). Think of five year olds, then, as the spiritous equivalent of a decently tricked-out Toyota Corolla…it’s cheap, it’s reliable, it works well, it’s extremely versatile, and you can go up or down the value chain from there. The flip side of this last comparison is that a Corolla is, let’s face it, just a bit bland. There’s no oomph to the thing, no exhilarating who’s-your-Daddy-now moment. The Juan Santos 5 was a bit like that, and if you doubt me, just nose the hay-coloured, medium bodied spirit. There is almost nothing here to be analyzed at all, and when I did so four or five times, the scents were so light that about all I could pick out were traces of vanilla, faint burnt sugar notes, and the barest hint of cinnamon. The upper ranges of the this line shared similar issues, yet in those there was a sense of underlying structural complexity where firmness of taste had not been eviscerated as much, and that presented in the sort of fine noses which this one seems to be still searching for. On the palate things weren’t redeemed much: the lightness of the medium bodied rum noted above carried over into the general mouthfeel — which, while gentle and almost soft with just the faintest bite of youth to it, gave practically nothing back to the taster. Citrus zest, the same sly vanilla hint, and barely a trace of what one might loosely term a “rum profile.” It presented some briny notes at the end, but my contention is, so what? The rum faded well and long, was a bit heated and spicy, with that salty trace persisting, but again, no new tastes or sensations emerged even at this last stage of the game, beyond those already identified. I confess to being disappointed. It was too bland to be a sipper, too tame, too difficult to tease tastes from, and while mouthfeel and fade were good, the lack of clear complex flavours sink this baby for me as a sipper. So, can it be a decent mixer? Well, maybe – whatever additional ingredients are added had better be the equivalent of pastel shades, because clear and strong cocktail additions would shred the subtle tastes the rum does have. A cola would probably terminate the poor thing with extreme prejudice. I’m going to give this rum 74 points, primarily for aspects which I think are cool and work well (relative smoothness, good fade, lovely mouthfeel for something so young are high points). But given the quality of other members of the food chain – five year old rums in general and older members of the Juan Santos line in particular – to me that’s damning it with faint praise. I went in really wanting to praise the Juan Santos Five (not least because I loved its older relatives), but alas, stayed only long enough to bury it. A low proof rum that is impressive right out of the gate, suggests quality and subtlety past compare, and then gives up and runs full tilt into the wall. What this rum might have been with some extra strength…. First posted 6th January 2012 on Liquorature. Right off the bat I have to state my preferences: I am not a fan of underproofs. They have a fake air of smoothness that has less to do with a blender’s art than with a low alcohol content. Spirit imparts depth and character to a rum (as I have observed with overproofs from time to time), and the lack thereof forces the distiller all too often to make up for the shortfall with additives. With the Colombian Ron Viejo de Caldas 8 anos (bottled at 35% according to the label), however, I may have to revise this assumption, since not only did the Colombianos age this for eight years as if in defiance of all conventions for a rum less than 40%, but the thing is actually quite a decent drink which, because of its relative weakness, can be had as is without embellishment. I can’t say this makes me an instant convert…but it does make me less of a detractor. 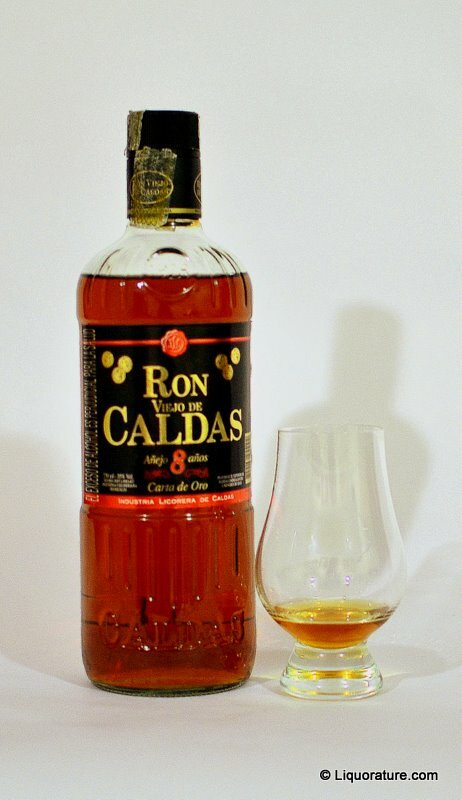 Ron Viejo de Caldas is made by the Industria Licorera de Caldas from Colombia. It started small, as a little known artesinal rum from the provinces, but clever marketing and its own quality have made it a more internationally known brand than heretofore. 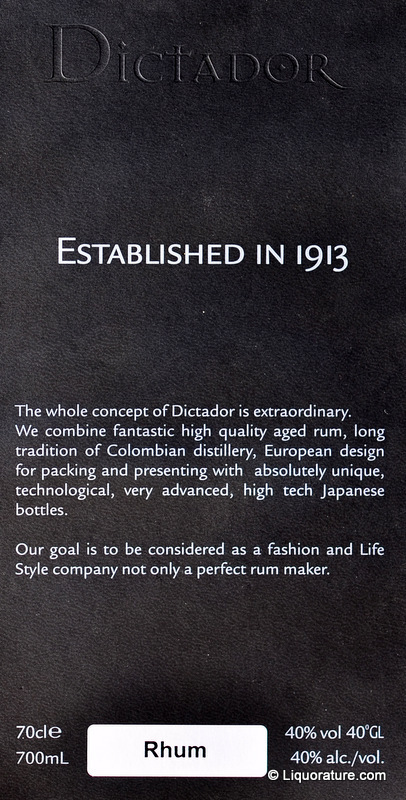 It was created by a Cuban Don Ramón Badia at the behest of the Caldas Fine Perfume and Rum company in 1926 (not as unusal as it may sound, since a good nose is key to both) and in 1959, boosted by good sales, a distillery was set up; in 2009, the company produced 25 million bottles of various rums. Nowadays, the brand is produced in Manizales, the provincial capital of Caldas, 7,200 feet above sea level. Located in the shadow of the Nevado del Ruiz volcano, the distillery is now equipped with column stills and sources its sugar cane syrup from the Cauca River Valley, where sugar cane is cultivated all year round. On the nose the first impression one gets is a kind of supple fruitiness: peaches, citrus, nectarines and maybe a ripe mango or two. Raisins and cinnamon and maybe nutmeg can barely be made out. The aroma is rich and deep and actually reminds me a bit of a good bourbon, or a rye (just a sweeter one). And upon opening up, the brown sugar notes start to dominate in a very pleasant burnt sugar I always love. The fade might be the weakest part of the rum, and this is where the low alcohol content shows its true colours and abandons your snoot — just as you expect a lingering smooch from what you may have thought was a lovely undiscovered gem you alone have sampled, it…disappears. No seriously. It has one of the shortest finishes of any rum I’ve ever had, and that’s something of the character that’s missing along with the true 40% or greater ABV content. I’m giving this baby 77 points on the strength of its great opening act, and had it not been for the weak conclusion, it would surely have topped 80. 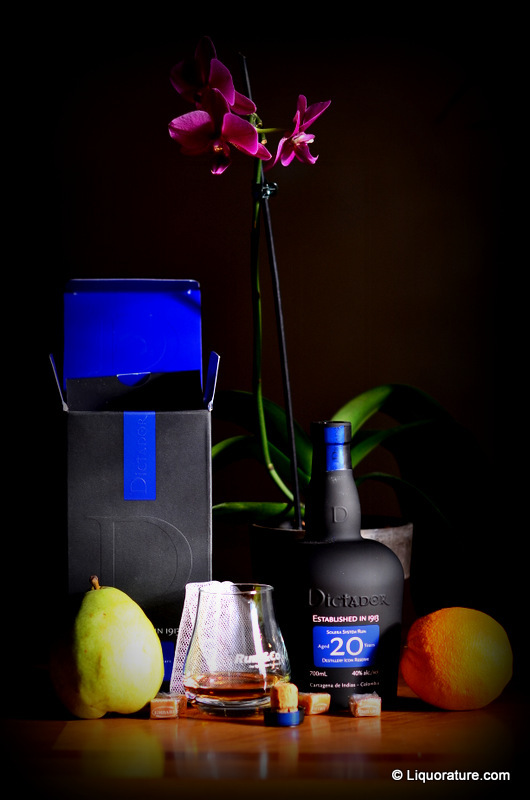 It reminds me of unadorned rums, subtle, complex and not too burdened with noticeable additives of any kind. I just wish I knew what the real forty percenter was like – on the strength of this one, it must be quite something. A steal at the price, the 21 holds its own against rums costing twice as much, and might be better known and sell more if the tag was higher. I think of it like I do a Nissan GT-R – too cheap to be taken seriously as a supercar, but a performer that can give any of the top dogs a run for their money. If you see it and you have the cash to spare, my recommendation is to get it. First posted 06 August 2011 on Liquorature. 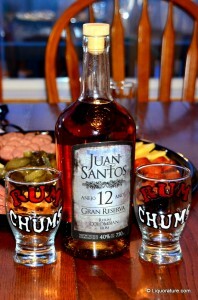 The Juan Santos 21 year old is the epitome of the Santana group’s rum line. It is a poem in a bottle, a liquid symphony of brown and gold, of smell and taste, and quite possibly one of the best aged rums available for under a hundred bucks. Anywhere. It is made in Colombia, an unappreciated nation in South America better known for narcotics and coffee, violence and political upheaval. Yet they speak the purest Spanish in the world outside of Iberia. Democratic traditions survive in spite of FARC and narco barons that would derail many another state. Colombia is the world’s largest supplier of emeralds, possesses a dynamic and educated workforce (I know – I worked with four of them and was hugely impressed by each), and, like every country under the sun, claims its beaches are whiter and its women more beautiful than anyplace else on earth. 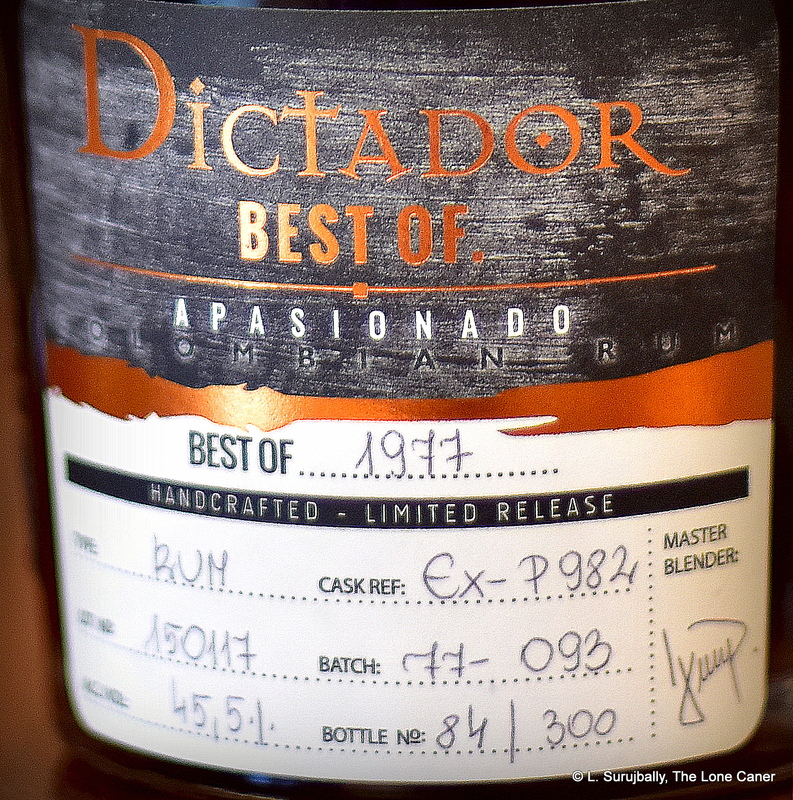 Now they can add another cachet to their national pride – this rum. The Santana company has been making rums in the Cuban style since 1994 – I’ve heard that it was Cubans who started the enterprise – and yet have made only limited inroads in the Canadian market. Bacardi, Lamb’s and Screech, together with Cruzan and a few other one-rum-here-one-rum-there variations still dominate liquor shelves here, in spite of both the Arctic Wolf and myself suggesting the product is damned good value for money. The 21 is all wrapped up in a look that does a neat jiu-jitsu on the Pyrat Cask 1623 rum, which had a phenomenal aesthetic appeal and little else. Perhaps the trick is not to let the 21’s presentation put one off – it’s not lackluster, precisely…more like undistinguished. The label is cluttered and busy with a pattern of muted colours (contrast that against the vivid backdrops of the Appletons, or the simplicity of the Mount Gay labels), and the bottle is, umm, just a bottle. One might be forgiven for missing the “21” in the title altogether, and tripping over it in some surprise. Huh? Veinte-uno? Que es esto? The rum itself is a light brownish gold. It poured nicely into the glass and swirling gently showed thinner legs than I would have expected – it evidently lacked the heaviness, the oiliness which would have indicated a deeper flavor profile and a longer fade. Still, the nose was nothing to sneeze at: it was all soft and silk, no sting and no burn, and held promising notes of toffee, brown sugar, a very delicate hint of flowers…and a bit of coffee. Given that Juan Santos also makes a very pleasant underproof café, I found this to be no more than appropriate. The taste was by any standards nothing short of excellent. Juan Santos 21 arrived unheralded, with no blaring tantara of orange trumpets such as you’d find in the rather obnoxious Pyrat’s XO or 1623. It slunk onto my palate, and stayed there. What I got was a smooth and soft liquid gold that some master blender may well have put his cojones into hock to the Almighty to produce. There was hardly any bite or burn at all – pretty good for a rum at 40% – with a remarkable depth of flavor for which the initial pour I noted above had done nothing to prepare me. I was expecting something a tad on the thin side, maybe some citrus hints, a clear sort of taste in line with the lighter colour and clean nose – what I got was a rye-and-rum combo that was deeper, darker and more flavourful than it had any right to be. Caramel, burnt sugar, yes, of course – but also breakfast spices, some cinnamon, that coffee again (maybe Juan Valdez is a relative?) and nutmeg lending some gentle muskiness it all. I was, to put it mildly, impressed – twenty one years in oak had been mellowed and balanced out and blended so well that it was a smooth balm to the taste buds. And the finish was no slouch either: thin legs or no, there was enough oil left in the rum to make a lasting impression that did not bail in a hurry with a harsh knock to the tonsils, merely stayed and lingered, like an old friend whose goodbyes can take a few minutes longer than the average, simply because there’s always one last thing to say. The 21 was so smooth and so languorous, that it actually seemed to stay a lot longer than it did. There were no harsh afterburns or tastes or anything, and quite frankly, if my personal preference hadn’t been for darker rums of greater body, I’d rate this one even higher than I do – for those that like a good quality sipping rum that’s right up there, look no further, since this single ~$85 rum will give you just about everything you’re after. In discussing the Juan Santos with the store manager at Co-op where I bought it, he remarked that for him this absolutely eclipsed the Zaya which had been his go-to tipple of choice up to that point. I don’t quite agree it should eclipse anything, since I have a pretty good collection of rums I like as much or more than the 21, and each has their place in my life, depending on the crabbiness of my mood (I drink harsh rotgut rums with minimal cola when I’m angry) whether I want to mix it and get a pleasant buzz on (medium-tier five year olds are good for this), get loaded fast (pick any 151, alert the wife and move out) or simply watch the sun go down (any top end sipping rum of your choice). That said, there’s no question in my mind that the Juan Santos 21 year old, for its price, offers a value for money that other top guns costing twice as much (and with only incrementally greater quality) would do well to observe. Price is no guarantor of quality, I wrote for my negative Pyrat 1623 review, meaning that a high price sometimes nets you a dog. 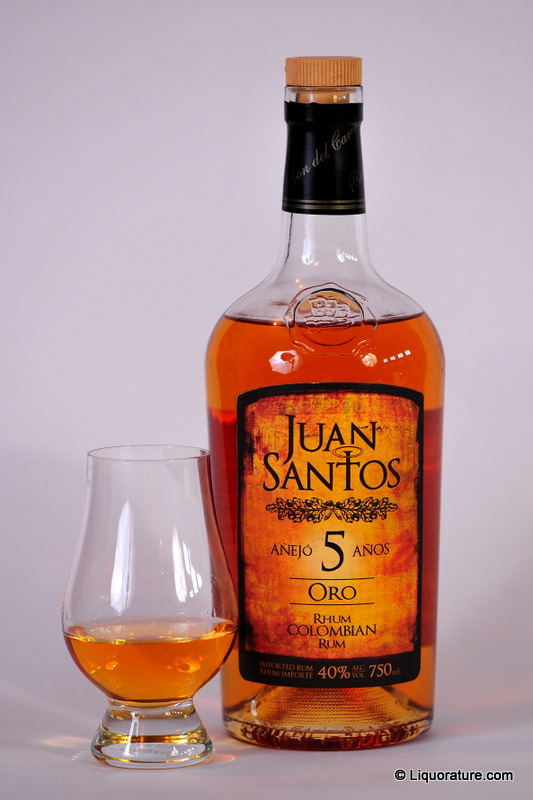 Here, with this rum, Juan Santos proves that the reverse is also true, and that a reasonably low cost for an aged rum is no indicator of a lack of any kind. Smooth, soft and unprepossessing, this may be one of the best 12 year old you never heard about. 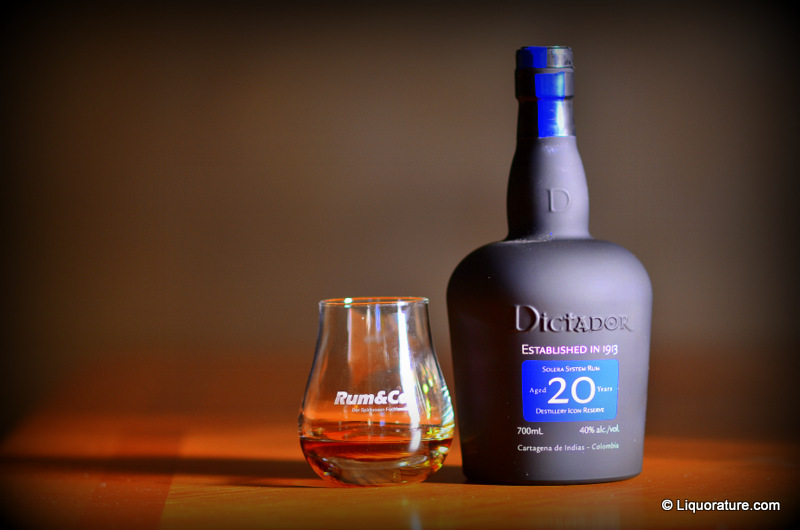 Coming from a maker formed less than two decades ago, it’s quite an achievement to create a rum of such overall worth. Here I had the 12 year old to take a look at. The labelling and bottle shape are consistent with the 21, the 9, and the 5 – the Santana company has been at pains to ensure conformity across their line with only minor differences in the labelling – within a clear etched bottle possessing wide shoulders and a sloping bottom. Plastic cork – I can’t stand cheap tinfoil, and have recently concluded the plastic corks are pretty good for ensuring a tight seal that doesn’t flake like old cork sometimes does, so this is all to the good. And, oh yeah – a bunch of the Edmonton Rum Chums around me. I was tasting this informally, in the company of the Arctic Wolf and some of his compadres, with a follow-up when I got back home two days later to formalize my rather incoherent notes. There was a smooth and oily consistency to the dark golden liquor (darker then the 9) when poured into the glass; it sheened slowly down the sides and only later separated into fat plump legs. And the nose was like the 9 year old…but better. No sting and medicinal nasties here, but a softness mixed with spice – faint caramel and sugar entwined with molasses and fruits and burnt sugar. None of these aromas were in any way assertive or overbearing or dominating: they were each and every one distinct, clear yet subtle, and balanced in a way I had not yet experienced in a rum. On the palate, the Juan Santos 12 year old retained some of that clarity and medium bodied nature; and it was soft too – it seemed to be more like a ballet dancer, hiding strength and power behind a pattern of smoothness and elegant moves. The rum coated the tongue so well and was such a smooth spirit that one could easily get lost in the softness and never remember afterwards exactly what had been tasted – though for the record, the arrival was of caramel and burnt sugar, cinnamon and breakfast spices, and just enough sugar to marry these tastes together well. It reminded me in its cleanliness of taste of nothing so much as very well steeped medium dark tea. Where I’d have to say the rum fell down was, oddly enough, in the finish. Not that it was bad. Far from it. What it was, for me, was that it was cursory. It was too quick, and veiled itself too fast, as if, after all that excellent smell and taste, it suddenly grew shy and with a flirt of flavour it disappeared in a noncommital fade that left almost no taste behind, only a sort of buttery caramel, and a slight and expected alcohol sting. A shame after the overall worth of the beginning, but not enough for me to say it’s bad, merely a tad disappointing. The Casa Santana company was formed in 1994 in Columbia with the avowed intention of producing the country’s premium rum. Currently they produce the Ron Santero brand which is what the Juan Santos, relabelled for import to Canada by the Liber Group, actually is. A rose by any other name, is my response to this relabelling, and as far as I’m concerned, they’re doing a good job with their rums no matter what the title, and I want more. Aged in American bourbon barrels, the aged rums, as per Columbian nomenclature laws, state the age of the youngest rum in the blends, and for this also, I give them full marks. 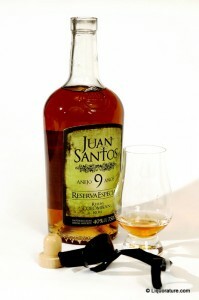 It is, then, an excellent entry from Juan Santos into the middle aged category, and if perhaps it is not quite on the level of the English Harbour or the St Nicholas Abbey 10 year old rums, it is at the very least on par with the El Dorado 12, is a good rum to sip or mix, and in no way a bad rum, or a lesser one: and once again I’m thinking that we really should agitate to get more of these rums from Columbia on our shelves. I must concede here that good as it was, the 12 wasn’t solely responsible for the stellar evening I had with the Chums, for sure. But it didn’t hurt, aided quite a it, and just as some tastes and scents evoke specific memories, I don’t think I’ll ever be able to have this unassuming, unpretentious Columbian gem again without remembering a laughter filled evening of jokes and rum talk and the company of new squaddies, pleasantly found, enjoyably experienced and around whose table I felt right at home. A rum that doesn’t seem to be trying, and yet, when you’re done and you try to analyze your experience, you unexpectedly find yourself admiring it more and more, surprised by its overall quality. The other day a lady from my department quit: an overseas posting came up, and she’s upping anchor and bailing with her family. I’ve thought of Cecilia often in the days since her resignation. She took no crap from me, did the work of a full time employee in half the time, and was quiet, efficient and professional. She and I did some really stellar work together, more from her technical expertise than any inherent qualities of mine, and I know she’ll be missed: by me in particular – class acts are tough to replace. I think of her, and have nothing but fond memories and great respect. It was in this frame of mind that I sampled the Juan Santos Anejo 9 year old, and perhaps because she was on my mind, thinking of one led to the other. Juan Santos hails from Columbia, as does Cecilia, and actually my first introduction to their wares had been a coffe infused liqueur that I still take on the odd occasion when I want some thing with a little less octane than the usual. The distilling company, Santana Liquors is not a very large concern, and it is young (formed in 1994) but they certainly do have a good range of rums: 5, 7, 9 12, and 21 year olds…and I have to note that even though they planned a sort of invasion of Alberta a couple of years ago, their wares remain puzzlingly unavailable…though I did spot the 21 year old the other day at a nearby Co-op. Just one. What’s up with that? Chip Dykstyra, who popped down to Calgary a few weeks back to sip rums and speak of affairs with some of the members of Liquorature, gave me this sample and asked me to do a write up of it, give the thing some visibilty if it deserved it. Having done so, I gotta tell you, you simply have to agitate with your local bar, rumshop, beer garden, pub, MP, senator or what have you, and get them to start stocking this excellent midlevel rum. All right, enough of this generalization, what was it really like? Well, first of all, it came in a tall, heavy shouldered bottle remniscent of , and an excellent, tightly seated plastic cork. The colour was a dark gold, and what I had managed to research suggested this was a rum made in the Cuban style. I’m not entirely sold on the classification of rums into main “make” styles (Cuban, Demerara, Jamaican, and Cane Juice, with some adding Bajan and Dominican), but here’s one that stated front and centre that this was what it was like: and that would lead you to expect a light, somewhat dry and spicy rum with a not to sweet, cognac-like character. Indeed, the nose seemed to confirm that. It swatted me on the snoot with a quick sharp sting which never relented. Caramel and brown sugar came to me, but also rich coffee. And after a while, the rum did indeed open up and released a delightfully light and floral scent that coiled around the core of the base scents like lone Tie fighters circling the Death Star. And on the back end there came the scent of ripe fruit, perhaps papaya, or mango. The taste was something else again. A Cuban styled rum is supposed to be light, dry and peppery, but the 40% ABV Juan Santos 9, which is aged in white oak barrels from Kentucky, pleasantly surprised me by having a heavier prescence than its rather thin legs would suggest, coating the tongue quite nicely and delivering a burst of flavour that was a shade arid, yes, but also bringing with it caramel, vanilla, nutmeg – and that coffeee again, though fainter – and to my mind, just a bit too much spiciness. I’m not sure I can blame it for that, though…it adds a shade more character than might otherwise have been the case, and makes the sugar less agressive. But the flavours blend well into that spice: a good balance overall. The finish was also pretty good, medium long and fragrant, biting a little yes, and in a good way. It was that deep burn I like in a decent aged rum, and if I thought it could use a little more ageing, well, that’s me. I’m sure others will accept it and like it exactly as it is. This is going to sound funny, but I tasted this thing and thought about it, and it really reminded me of Cecilia (and not just because they share a common geographical point of origin). It’s something to do with its unpretentious nature, the way it gets the job done without undue fanfare: it’s a really decent rum that way. I don’t mean to compare Cecilia to a rum: that would be indecent, and fair to neither. It’s more a question of character. Looking at my numeric score after tallying up the points, I was surprised to see Juan Santos beating out more famous, well-known marques without actually looking like it was excelling at anything or making any great effort. There are some people like that too, and I meet them all too rarely. They don’t talk much, they have no bombast or bull in their natures: they are simply and unassumingly good at what they do. 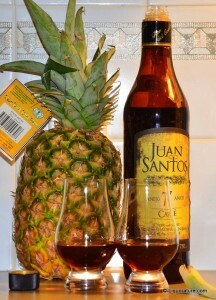 I tasted the Juan Santos 9, appreciated it as both sipper and mixer, and admired Columbia a whole lot more: if they can produce both professionals and rums of this calibre, we should be paying more attention to both.